ARC is a South African registered investment holding company that seeks to utilise its empowerment credentials, balance sheet strength, the business track record of its leadership team and its brand to invest in financial services distribution businesses, to take strategic equity stakes in underlying financial services product providers and to acquire majority or significant minority interests in non-financial services businesses. ARC Fund (an en commandite partnership) has been established in South Africa as an evergreen (open-ended) investment vehicle. ARC has contributed 49.9% of its interests in financial services companies (through a holding company) and 100% of its interests in nonfinancial services companies to ARC Investments in return for shares in ARC Investments. 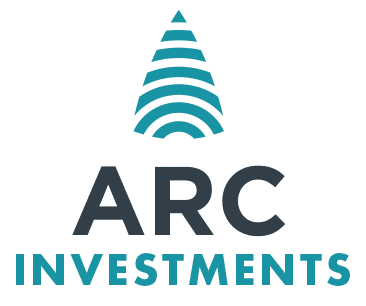 ARC Investments will contribute the investments to the ARC Fund as a capital contribution. UBI GP (a Black-managed and controlled fund manager in terms of the DTI Codes) has been established to act as the General Partner and manager of the ARC Fund, and in return will earn an annual fund management fee. The B share will allow ARC to exercise sufficient votes to ensure that ARC and other Black shareholders have 51% of the votes in ARC Investments should the BEE shareholding (measured with reference to all BEE shareholders, including ARC) in ARC Investments decrease below 51%. These voting rights will fall away should ARC’s shareholding in ARC Investments fall below 26.1%. The B share will have no economic rights. The structure ensures that new and existing investee companies treat the ownership from the ARC Fund as if the ownership were held by Black investors. ARC Fund holds a diversified portfolio of high quality investments valued at R4.5 billion. The strong pipeline of investment opportunities is an opportunity to create significant scale and portfolio diversification.